Ron McKee, a lifelong friend and fishing partner, first met Bob Pond when he was 11 years old. "I was delivering papers in town and I met him in a parking lot near his big blue van full of fishing gear," says McKee, 53. When young McKee asked Pond about fishing, the older man began throwing lures into a box. With each lure came an explanation of how to use it. When he was done, Pond handed the box to McKee with instructions to go fishing with the lures and report back on how they worked. "I believe he was the smartest man alive - he knew so many things about so many things," says McKee. "All the research and fishing he did - he always did it right. It was never half-assed." Robert "Bob" Pond, conservationist and creator of the Atom lure that revolutionized striper fishing, died Dec. 26 after a 10-year struggle with Alzheimer&apos;s disease, at the Golden Living Center-Garden Place in Attleboro, Mass. He was 92. Pond was well-known for founding the conservation group Stripers Unlimited in the 1970s along with the late Rhode Island Sen. John Chafee. "He felt since he was helping get the fish out of the water, he should be helping to put [the fish] back in," says Pond&apos;s grandson, Paul Trost, who lives in North Attleboro. "He was adamant about protecting the [striper] species." Pond grew up with a fishing rod in his hand. He was born July 4, 1917 in New Rochelle, N.Y., and graduated from Syracuse University&apos;s Forestry College, an education to which he later owed much of his success in striper research. During World War II, he served as a munitions inspector for the British and later for the American government. 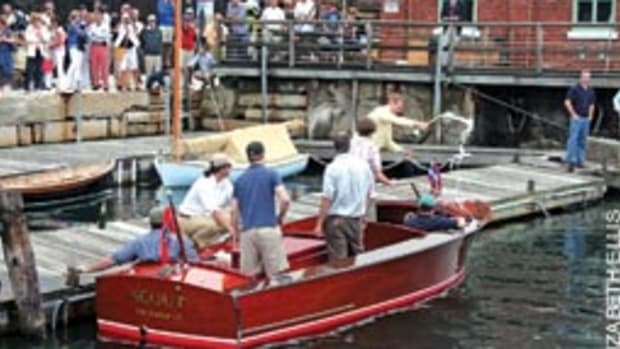 Around that time, Pond was fishing under the Sagamore Bridge on Cape Cod in Massachusetts, and he salvaged a wooden plug floating on the surface of the water. He found that he was able to start reeling in the stripers by using a lure floating on the surface rather than below. 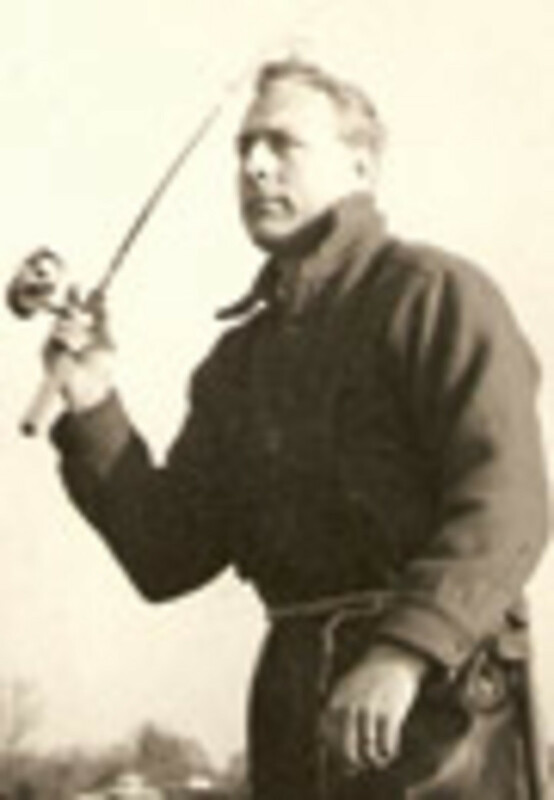 "He developed the first lures of that model out of broken broomstick handles, since material was so scarce at that time," says Trost. "He hand-cut metal lips for the lures and, aside from the aid of some tools, the first were done mostly by hand." Pond developed Atom Manufacturing in 1945 and began producing wooden and plastic floating lures that quickly became a hit with anglers. But, over the years, the lures took a back seat to Pond&apos;s passion for restoring the striped bass species. 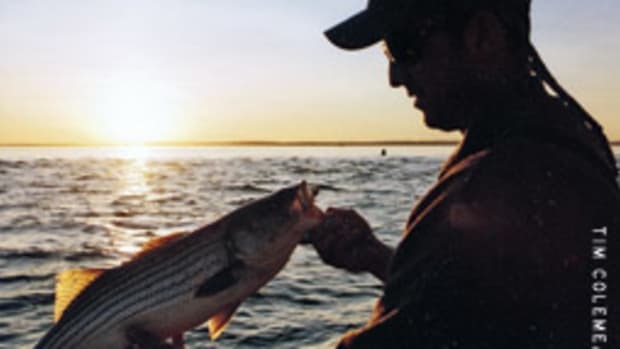 That was the start of Stripers Unlimited, which was highly influential in restoring the diminishing population of striped bass on the East Coast. Trost recalls being about 4 years old when he was running around Pond&apos;s shop and becoming inspired to go fishing. "From the time when I was about 11 to the time I was 16 or 17, when [Pond] had to retire from fishing because he was getting up there and not as mobile as he used to be, I fished with him relentlessly," says Trost. "Testing lures, testing rigs, collecting data ... I remember sitting in his van and he told me &apos;Write down exactly what you caught, how big it was, and what it looked like.&apos; It was this constant pursuit of information." Pond wasn&apos;t alone in his pursuit. His wife, Avis Boyd, was an active partner in his research and protection of the striped bass population. She died at 84, three days after Pond. Today, stripers are designated as a protected game fish, which prohibits the sale of striped bass caught in federal waters. According to longtime fishing friend Ron McKee, Robert Pond sold Atom Manufacturing to Smoker Baits, which operates out of Snug Harbor, R.I. The company also distributes lines such as Bead Tackle and Bridgeport Diamond Jigs that it acquired in May 2000. According to their Web site www.atomlures.com, the latest generation of the Atom lure is made from a high-tech polymer called "Cedar Foam." This resin allows the lure to float and swim exactly the way a wood one would without becoming water-logged. Paul Trost hopes to open his own lure business in the next few years. "I&apos;ve been building lures since I was 18," says Trost. "Even though it was after Bob retired from fishing, he always consulted with me about the lures. He&apos;d hold them in his hand, feel for the weight, how they rolled and if they were balanced or not. He gave me so much invaluable information." Trost currently works in retail, but in his spare time he continues to make a combination of his own lures and replicas of his grandfathers&apos;. According to Trost, some of Pond&apos;s original lures have fetched up to $750 from collectors.